This Hamsa combines two symbols together to create a decorative piece with blessing and divine protection. 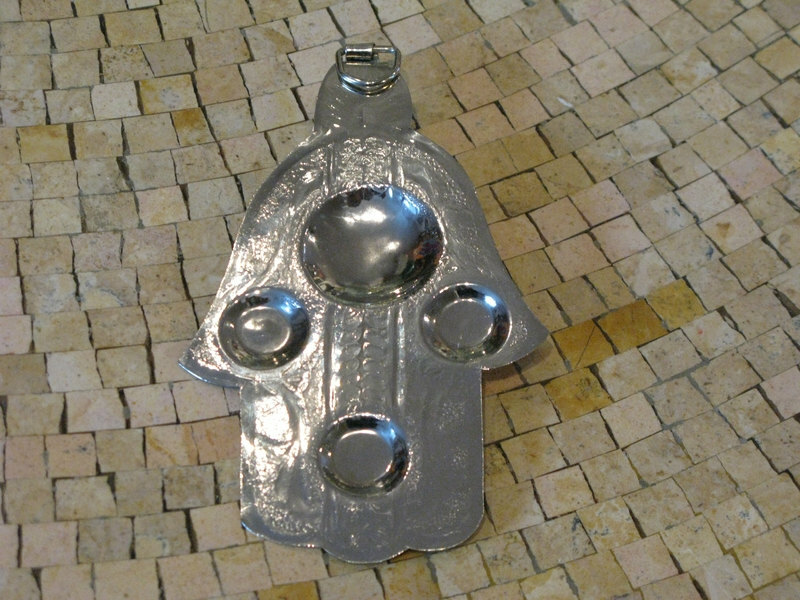 The Hamsa is hammered and decorated with floral pattern and yellowe beads. The Hamsa is a symbol of divine protection. 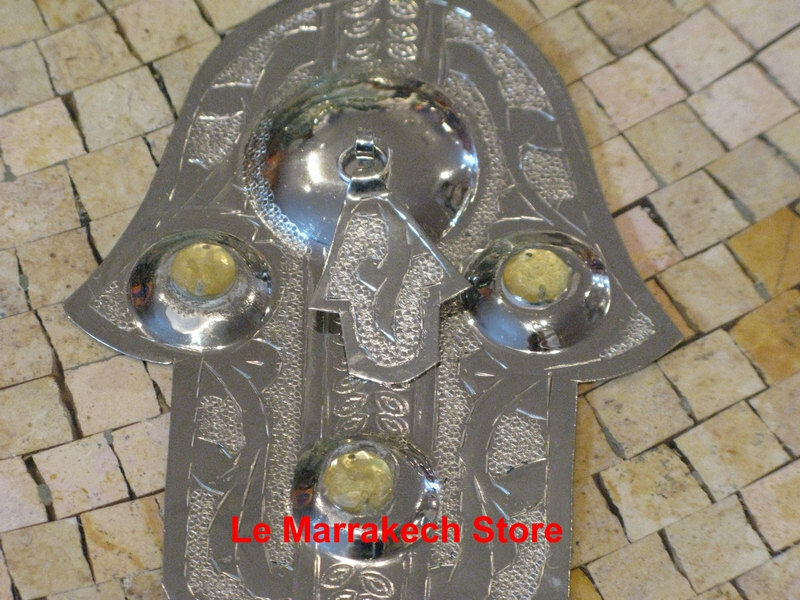 Hamsa Wall Hanging also know as the hand of Fatima is a both of a Judaic and Islamic traditions. It symbolizes lucky charm against the "evil eye" and is believed to protect the person hanging it. Hang it in your home to bring good luck and protect you from bad things.